Viknesh Vijayenthiran July 21, 2016 Comment Now! 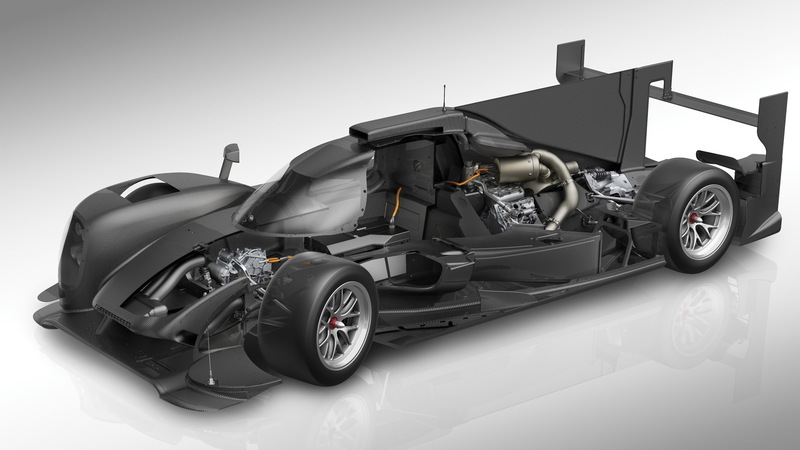 Porsche’s 919 Hybrid is proving to be one of the most successful race cars in the German automaker’s history. It’s currently in its third year of competition and already under its belt are a title in the World Endurance Championship and a pair of victories in the 24 Hours of Le Mans. 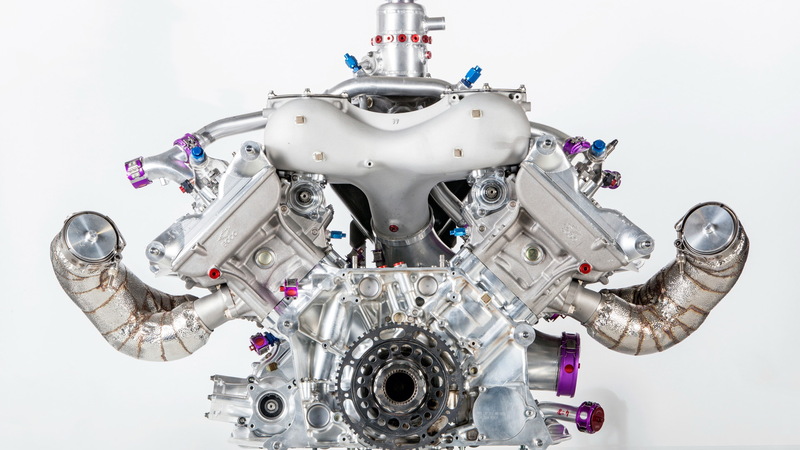 The 919 Hybrid competes in endurance racing’s premier LMP1 category, alongside rivals from Audi and Toyota. For its car, Porsche selected a turbocharged 2.0-liter 4-cylinder engine (arranged in a V-4 configuration) and an electric drive system that relies on the highest allowable rate of energy recovery, in this case 8 megajoules. 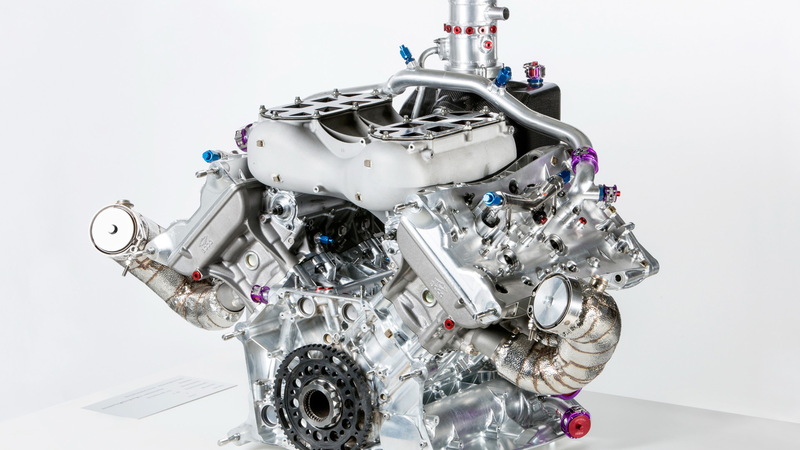 We’ve already had a close look at the 919 Hybrid’s V-4 engine. Now we have a look at the inner workings of the car’s electric energy recovery and drive system. The electric system is an 800-volt setup that Porsche will eventually transfer to road cars when it launches the production version of the Mission E concept towards the end of the decade. In the race car, the electrical energy the system relies on is recovered from braking and exhaust gases. In the road car, the energy will mostly come from charging up at home. 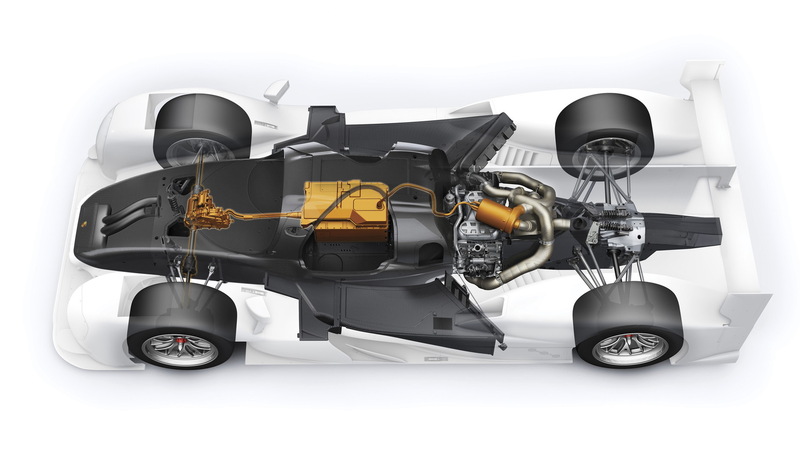 During braking in the 919 Hybrid, a motor-generator at the front axle converts the car’s kinetic energy into electrical energy. In the exhaust system, Porsche uses a split design where gases from one pipe drives the turbocharger and from the other spins another motor-generator to create electrical energy. The braking energy contributes 60 percent of the recovered energy, with the remaining 40 percent coming from exhaust gas. The recovered energy is stored in a lithium-ion battery in the center of the car and drives the front wheels via the front axle motor generator (the V-4 engine drives the rear wheels). There’s a button in the cockpit that allows the driver to use the electrical energy when it’s needed, such as coming out of a corner or charging up a hill. In accordance with the latest regulation changes, the power from the V-4 engine is just under 500 horsepower and the output from the electric motor is somewhere above 400 hp. However, both the engine and motor are limited by the regulations, in this case by the amount of fuel that can be consumed per lap and the amount of electrical energy that can be recovered. The use and interplay of these two power sources thus requires a sophisticated strategy. 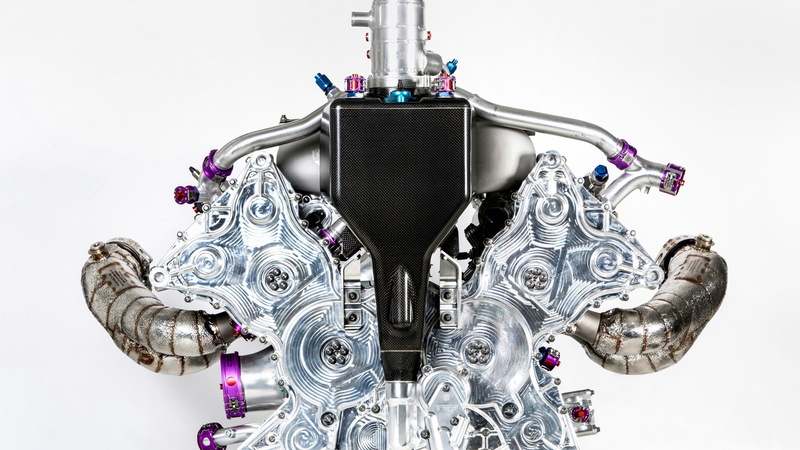 For Porsche’s future road cars, the 919 Hybrid serves as a testing lab, particularly for high-voltage systems. Important lessons learned from the race car that will eventually benefit road cars include cooling for the battery and electric motor, the connection technology for high voltage, and management systems for the battery.